Our next fabulous foodie market at the University of Manchester will be held on Tuesday 14th March, 11.30am to 2.30pm, on Bridgeford Street M15 6FH. You can find us just off Oxford Road, next to the Manchester Museum. Foodie Tuesdays are back! We had a fantastic time on campus last week for our first one of the term, with big crowds, lots of happy customers and full tummies. This week’s lineup of traders is a BELTER, with a great mix of your favourites and some brand new traders. We’ve even got cheese! Take a peek below and get ready for another cracking mid-week lunch. POW! 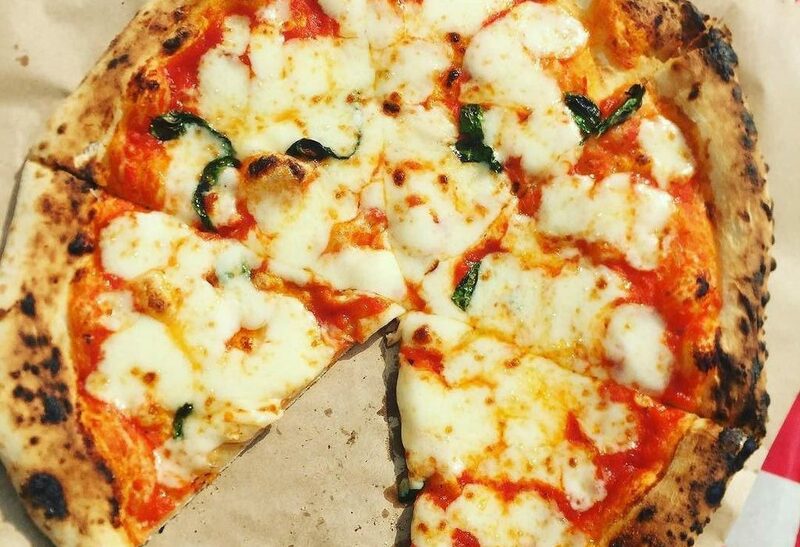 ** Up top, the most beautiful pic of a pizza we’ve ever seen was taken by Lily Carden (@gorgeousgateaux) – thanks Lily!